11:12 a.m. — A caller from the 100 block of Park Avenue reported her tenant’s vehicle was broken into the previous night. The caller said all four doors were open and items were moved around. The caller said the tenants were out of town. The caller called back saying she spoke to her tenants and they left the vehicle open to air out and there was no crime. 1:37 p.m. — A caller from the 1300 block of East Main Street reported a man possibly drunk or on drugs harassing the caller and then tried to run in front of the caller’s vehicle when he was leaving. 2:30 p.m. — A person was stopped on the 11000 block of Nevada City Highway. A person was arrested on charges of driving under the influence. 3:51 p.m. — A caller near the corner of East Main Street and Dorsey Drive reported someone throwing rocks at a vehicle. Another caller said someone seemed angry and was violently throwing items and vehicles. Another caller said someone was hitting a building with a board. Another caller said someone was yelling profanity. An arrest was made on charges of vandalism. 5:24 p.m. — A caller near the corner of Mill Street and McCourtney Road reported loud drumming. The caller possibly wanted to file a complaint for disturbing the peace. The drummer was admonished. 12:36 — A person was stopped on the 100 block of Mill Street. 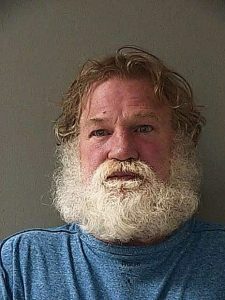 A person was arrested on charges of driving under the influence, possession of metal knuckles and license requirements. 6:54 a.m. — A caller from Pleasant Valley Road reported theft of a vehicle stolen from in front of a store. 8:33 a.m. — A caller from Selby Lane reported seeing handprints on his kitchen windows. The caller said the screen had been removed and then put back backward. 12:22 p.m. — A caller from McCourtney Road reported theft to a residence last year. The caller was just informed the subject that used to live with her was arrested the previous day for a different burglary. The caller believed he was the one who did this to her house as well. 1:16 p.m. — A caller near the corner of Kootenai Lane and Rough and Ready Highway reported a vehicle parked near a church. The truck was open and there was a man in the passenger seat with a towel on his lap. An arrest was made on charges of a probation violation and failure to appear. 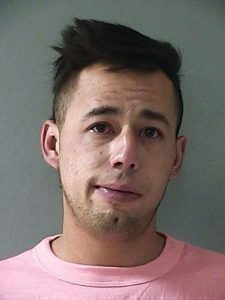 2:24 p.m. — A caller near the corner of Jackass Flats Road and Tyler Foote Crossing Road reported eight or nine people trespassing on the caller’s property, offroading and tearing up the property. Officers were unable to locate the people. 2:37 p.m. — A caller from Twin Star Lane reported a crazy woman followed her down a road toward her home and threatened to shoot her. The caller was aware the woman had a gun at her residence. The caller thought the woman called law enforcement about a marijuana grow, however she had not done so. Officers found the report to be unfounded. 2:41 p.m. — A caller from North Meadow View Drive reported an explosion coming from a residence. The owner of the residence was law enforcement and already informed the caller they would be doing a gender reveal with an explosion. The caller was very upset and believed it was unnecessarily loud The caller called three more times, then a fourth. All parties were contacted. 5:04 p.m. — Officers found a man slumped over the wheel on Highway 49 near Wolf Road. 5:44 p.m. — A caller from Highway 49 at Independence Trail reported a window in her vehicle was smashed at her purse was stolen containing credit cards and a medical license. 6:17 p.m. — A caller from Highway 49 and Independence Trail reported a vehicle broken into and a purse stolen.